We need you at Quiz Night! 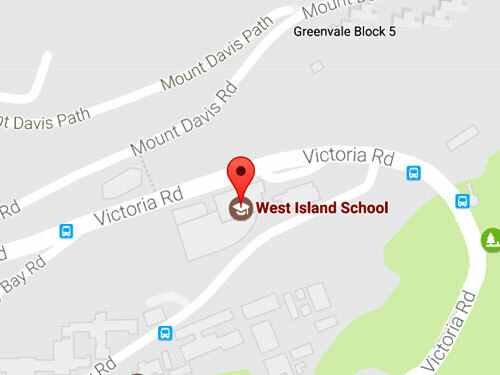 West Island School’s annual PTA Quiz Night is back this year, and will take place on Friday 1 March 2019. Quiz Night is a fantastic opportunity to get together with other parents and have a fun relaxed evening. Quiz Night at WIS is not actually about answering the questions but about having a laugh with other parents. It’s also about fund raising. Answering the questions is secondary. There are eight people on a team, someone else may know, it doesn’t really matter! This is not a reason to stay home alone – come and have some fun yourself. There are plenty of other people in the same situation. This is actually even more reason to attend the event. You don’t need to enter a team. If you don’t know many people contact the PTA to help connect you with other parents to form a team. This is an opportunity to get to know other parents, don’t miss it! Usually an accusation by Australians, but Asian parents have also shared this view. Probably guilty as charged, but a lot of effort is made to try and keep the questions international. Again, the main point is to meet other parents, so don’t let this put you off. Most people find they can answer more than they thought they could. I hope that we can make this Quiz Night the best one to date – I look forward to seeing you there. 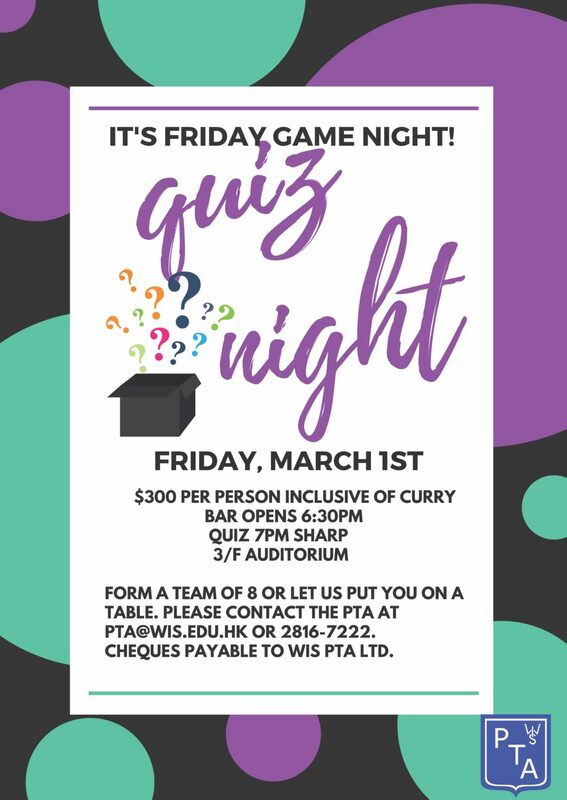 Register your team NOW for this popular event that promises to be a great night of competitive fun and big laughs! Funds raised from this evening is put towards the various PTA projects that include major refurbishments at WIS.